Good morning surfers! Keep Doug Franklin’s family in your thoughts and prayers. 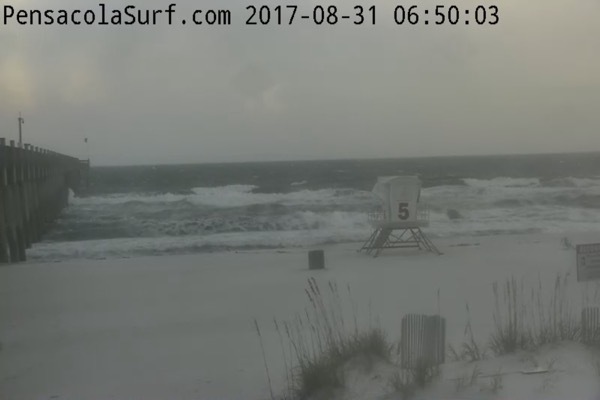 We have more storms today at Pensacola Beach with very windy conditions. 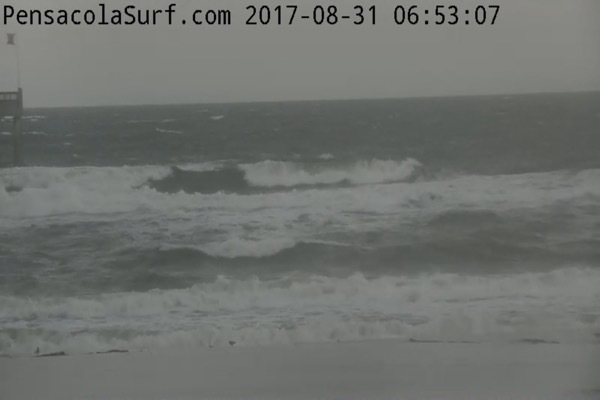 Wind is Southwest at 30 right now. 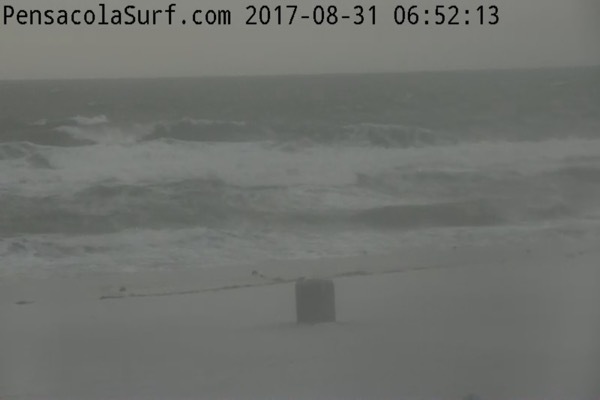 Waves are head high or bigger, but unmanageable. Lightning and wind will continue through the morning. Maybe we will get a chance this afternoon to get out there, but wind will stay strong all day. 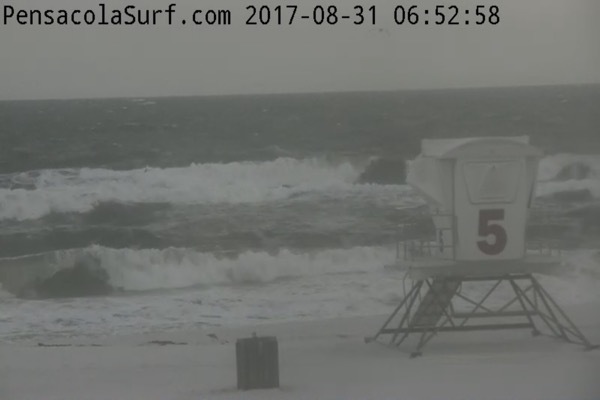 The tide was high at 6:40 am and will be low at 6:00 pm. Have a great day and stay safe!